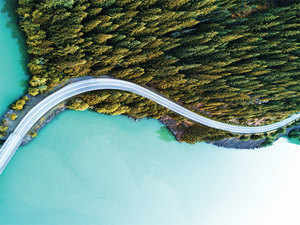 Here's how green is India? Conserving and expanding India’s urban green cover is one of the objectives of the draft National Forest Policy released earlier this year. The National Green Tribunal recently stayed the felling of reportedly 16,000 trees in South Delhi for a Central government housing redevelopment project. The issue has pitted activists and residents against the government in a metropolis that often tops the list of the world’s most polluted cities. Conserving and expanding India’s urban green cover is one of the objectives of the draft National Forest Policy released earlier this year. In the end, there was no proverbial twist in the tale. 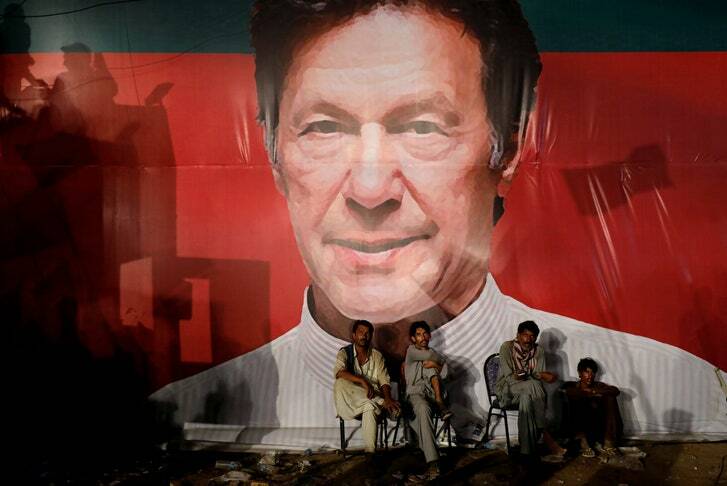 Imran Khan’s victory in Pakistan’s recent general elections was being predicted by most and it turned out to be true. The Pakistani military, which had shaped the electoral battlefield in Khan’s favor, was, of course, the real winner as it managed to make it clear to the civilians that anyone who would dare to cross swords with it would end up languishing in jail like former Prime Minister Nawaz Sharif. For now, Khan has won the electoral battle, but he still will have to seek out allies to form a coalition government. This is a remarkable turnaround from the previous parliamentary elections in May 2013, when his party, the Pakistan Tehreek-e-Insaaf, or PTI, had come in third. ISLAMABAD, Pakistan — For a nation often in the news for all the wrong reasons — suicide bombings, horrific school massacres — Pakistan has reached a turning point that could possibly alter its dysfunctional trajectory. Mr. Khan also may move Pakistan much closer to the expanding sphere of China, a neighbor he has praised conspicuously as a role model. WASHINGTON — The Trump administration is urging American-backed Afghan troops to retreat from sparsely populated areas of the country, officials said, all but ensuring the Taliban will remain in control of vast stretches of the country. The approach is outlined in a previously undisclosed part of the war strategy that President Trump announced last year, according to three officials who described the documents to The New York Times on the condition of anonymity. It is meant to protect military forces from attacks at isolated and vulnerable outposts, and focuses on protecting cities such as Kabul, the capital, and other population centers. Pakistan’s general election this week was set to be historic: It was only the second time in Pakistan’s 71-year history that an election was held after a civilian government completed its full five-year term. The scale was huge, with 106 million registered voters, 47 million of whom were women. 370,000 troops were deployed to ensure safety. Dozens of parties and independent candidates were vying for 272 seats in the National Assembly, or lower house of parliament. But a cloud hung over the election going into polling day. 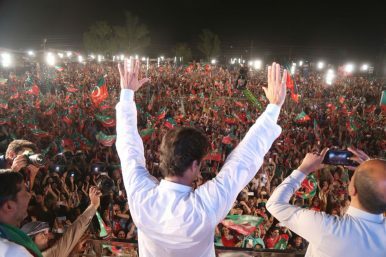 The two main parties vying for power were the incumbent Pakistan Muslim League – Nawaz (PML-N), and the Pakistan Tehreek-e-Insaf (Movement for Justice, or PTI), headed by the former cricket star Imran Khan. In mid July the PLA Airforce released a video of a nighttime training exercise involving the stealth fighter as a demonstration of its combat readiness. The Chinese warplane was developed by the Chengdu Aerospace corporation, which began testing them in 2011 before the first planes entered service in March 2017. So far a few dozen J-20s have been produced for the PLA although the manufacturer is continuing to build more. When the World Opened the Gates of China Was it a mistake for the U.S. to allow China to join the World Trade Organization? Assessments of the 2001 deal often determine positions in today’s bitter trade debate. TOKYO -- China is leading the global race for supremacy in artificial intelligence and financial technologies, a professor at one of the country's top universities said, as the private and public sectors join forces to capture the next big waves of innovation and pump vast resources into the industry. "Research institutes, universities, private companies and the government all working together in a broad area ... I haven't seen anything like it," Steven White, an associate professor at Tsinghua University's School of Economics and Management, said during a recent interview in Tokyo. "China is committed to becoming leader in AI, and the U.S. will lose because they don't have the resources." If there were to be a new international agreement to limit certain aspects of missile defense, it could reduce suspicion and competition among the United States, Russia, China, and other relevant parties. 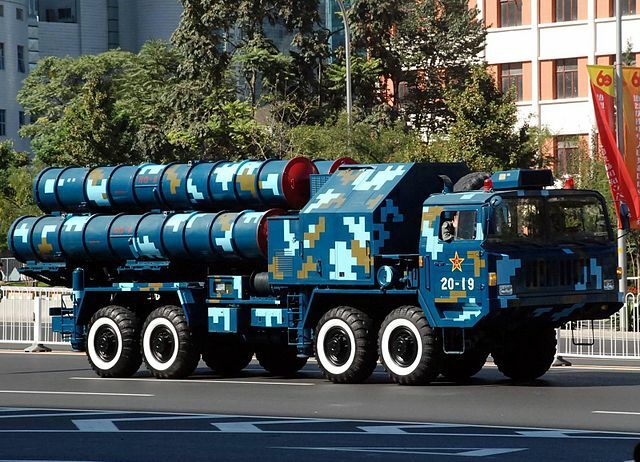 But the types of missile defense limitations that might be of interest to China – including agreements on numbers of missile interceptors, on the non-weaponization of space, and on elimination of ground-based midcourse defenses – involve policy changes that the United States has opposed in recent years. 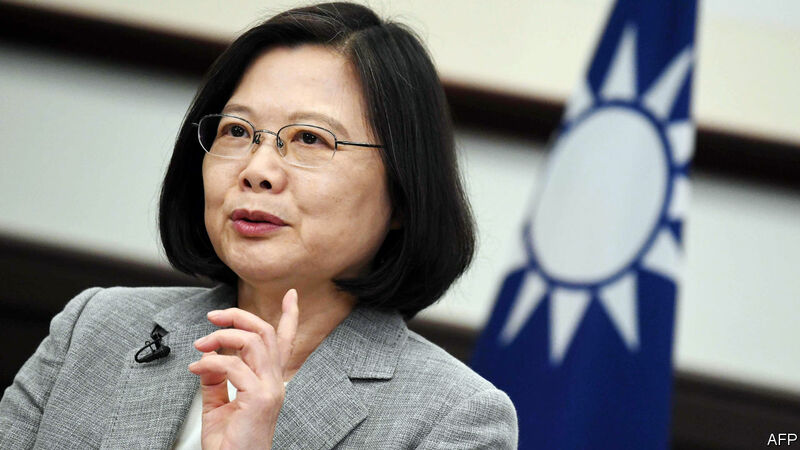 IF THE inauguration of a Paraguayan president next month draws international attention it will be because of one of its attendees: Tsai Ing-wen, the president of Taiwan. Paraguay is one of just 17 countries (plus the Vatican) that have diplomatic relations with Taiwan. In doing so they disqualify themselves from having formal relations with China, which considers the island nation a renegade province. They also subject themselves to intense pressure from the Chinese government to abandon Taiwan, in the form of both carrots (large investments) and sticks (tourism restrictions). So why do countries hold on, and how long can they last? SHUNNING all false modesty, China’s leader, Xi Jinping, calls his idea the “project of the century”. The country’s fawning media hail it as a gift of “Chinese wisdom” to the world’s development. As for the real meaning of the clumsy metaphor to describe it—the Belt and Road Initiative (BRI)—debate rages. The term itself is confusing. The “road” refers mostly to a sea route; the “belt” is on land. 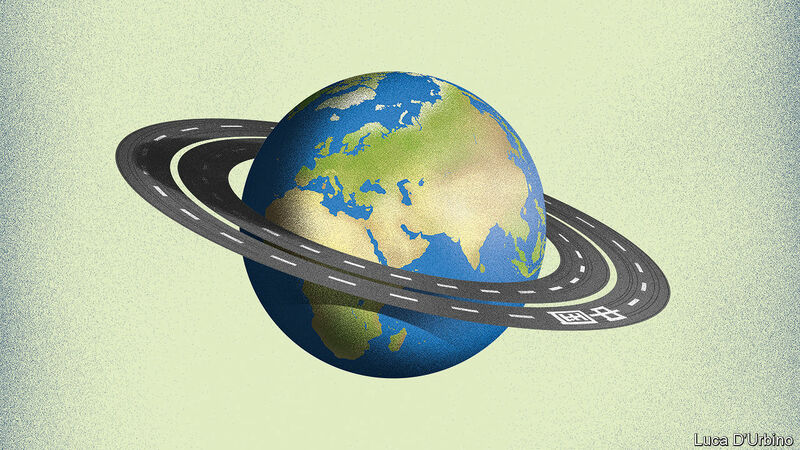 Countries eager for China’s financing welcome it as a source of investment in infrastructure between China and Europe via the Middle East and Africa. Those who fear China see it instead as a sinister project to create a new world order in which China is the pre-eminent power. Since 2016, Saudi Arabia has been urgent in pursuing its aggressive economic reform efforts, but since oil prices have risen, these efforts have shifted and slowed. Riyadh hopes to grow its foreign investment and private sector activity, but it will struggle as its regulatory environment is continually shifting. Everything in the kingdom, from social practices to regulations, is still tightly controlled by the state, which will continue to invite wariness from investors and Saudi citizens. Though Riyadh may be tapping the breaks on some of its initiatives, this is not a sign that the troubles Vision 2030 is facing are fatal — or even entirely unexpected; rather, they are part of a familiar cycle. A left-wing lobbying organization tied to influential Hungarian-American investor George Soros spent its highest quarterly amount ever in the period ending on June 30, according to recent financial statements. As The Washington Free Beacon reported, the Open Society Policy Center shelled out more than $10 million during the second quarter of this year in pursuit of various policy and legislative goals around the world. The organization took on several new causes during this period in addition to its generally elevated lobbying levels in recent years, particularly since President Donald Trump’s inauguration. Atul Bhardwaj (atul.beret@gmail.com) is a former naval officer and adjunct fellow at the Institute of Chinese Studies, Delhi. The recently concluded Helsinki summit between Russia and the United States on 16 July 2018 is reminiscent of the Cold War the in strategy of theUS to create a wedge between China and Russia. The great power politics unleashed by Donald Trump from European soil is also aimed at facilitating populism to replace liberalism as the dominant political ideology in Europe. The United States (US) is under a deluge of delusion. Some see Donald Trump riding a white stallion destroying Russian nukes and ushering in an era of peace and prosperity, while others see the Statue of Liberty genuflecting in front of “dictator” Vladimir Putin. Both are hallucinating because Trump is neither a peacenik, nor is he selling American interests. He is simply a grandmaster making his moves on the great power chessboard to reap domestic and international gains for the global populist movement and American capital. July 27 (UPI) – Even before the revelation on Monday that Russian government hackers had penetrated the computer systems of U.S. electric utilities and could have caused blackouts, government agencies and electricity industry leaders were working to protect U.S. customers and society as a whole. These developments, alarming as they might seem, are not new. But they highlight an important distinction of conflict in cyberspace: between probing and attacking. Various adversaries – including Russia, but also China, North Korea and Iran – have been testing and mapping U.S. industrial systems for years. Yet to date there has been no public acknowledgment of physical damage from a foreign cyberattack on U.S. soil on the scale of Russia shutting off electricity in the Ukrainian capitalor Iran attacking a Saudi Arabian government-owned oil company, destroying tens of thousands of computers and allegedly attempting to cause an explosion. Foreign adversaries have stepped up the use of information warfare to control populations since 2011 and the operations are one of the new threats in the digital age, according to the director of the National Security Agency. Army Gen. Paul Nakasone, who heads both NSA and Cyber Command, said in remarks last week that both the military and the nation as a whole are taking steps to counter foreign information warfare and to use information operations against adversaries. The Arab Spring uprisings that began in April 2011 were fueled by social media and the internet and led to the unseating of several governments throughout the Middle East and North Africa. Although alarmist headlines often announce imminent water wars over scarce resources, the truth is that cooperation over shared waterways, particularly rivers, is historically more common than conflict. In fact, even among bitter enemies, the historical record shows that water conflicts around the world do get resolved, even to the point that international cooperation often increases during droughts. However, common causes of water conflicts remain a concern. Unilateral actions to construct a dam or river diversion in the absence of a treaty or some other protective international mechanism are highly destabilizing to a region, often spurring decades of hostility before cooperation is even pursued. Similarly, as access to irrigation water is threatened, one result can be mass migrations of out-of-work, disgruntled people from the countryside to the cities—invariably a recipe for political instability. All eyes are on Johannesburg for the 2018 BRICS summit, as the likes of Vladimir Putin, Xi Jinping and Narendra Modi take their places at the table. It marks the tenth annual gathering for this international organisation of the leading emerging economies. So what can we expect? The summit of the BRICS countries - Brazil, Russia, China, India and South Africa - started in June 2009 at Yekaterinburg, when Russia hosted the leaders of this bloc, though it did not originally include South Africa. BRIC became a formal institution the following year, aimed at facilitating global political and economic transformation, and South Africa officially joined in 2011. In almost every classified Pentagon scenario for how a future confrontation with Russia and China, even Iran and North Korea, might play out, the adversary’s first strike against the United States would include a cyber barrage aimed at civilians. It would fry power grids, stop trains, silence cellphones and overwhelm the internet. In the worst-case scenarios, food and water would begin to run out; hospitals would turn people away. Separated from their electronics, and thus their connections, Americans would panic, or turn against one another. WASHINGTON (Reuters) - The Pentagon is working on a software “do not buy” list to block vendors who use software code originating from Russia and China, a top Defense Department acquisitions official said on Friday. Ellen Lord, the under secretary of defense for acquisition and sustainment, told reporters the Pentagon had been working for six months on a “do not buy” list of software vendors. The list is meant to help the Department of Defense’s acquisitions staff and industry partners avoid buying problematic code for the Pentagon and suppliers. “What we are doing is making sure that we do not buy software that has Russian or Chinese provenance, for instance, and quite often that’s difficult to tell at first glance because of holding companies,” she told reporters gathered in a conference room near her Pentagon office. 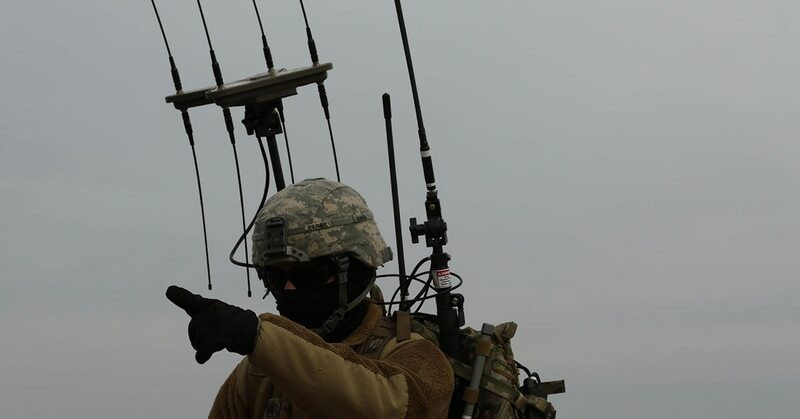 Congress is taking aim at the military’s electronic warfare shortfalls in an attempt to rebuild the electronic warfare enterprise and ensure U.S. systems are superior to adversaries, such as China and Russia. A lengthy proposal in the conference report from the Senate and House Armed Services Committees’ annual defense policy bill directs the Pentagon to establish a cross-functional team to evaluate the capabilities of adversaries. Urban warfare is increasingly being recognized as a feature of contemporary and future war. Indeed, successfully negotiating urban operations is an imperative as the “era of urban warfare is already here.” This now and future operational space is fraught with challenges as described in the previous essays in this series. These challenges include the complexity of operating in urban terrain ranging from tunnels, to vertical spaces, population density and diverse demographics, sprawl, architectural and political complexity, culminating in humanitarian challenges. Add to this: environmental and ecological challenges, such as hazardous materials disasters, and famine and resource scarcity resulting from urban fighting. The following is adapted from a keynote address delivered on July 22, 2018, at the beginning of the Provincetown Fine Arts Work Center’s week devoted to “writers and artists as activists.” In cases, the author has revised the Times translation of the Russian original and reinstated original emphasis. We are here to talk about writing for social change. 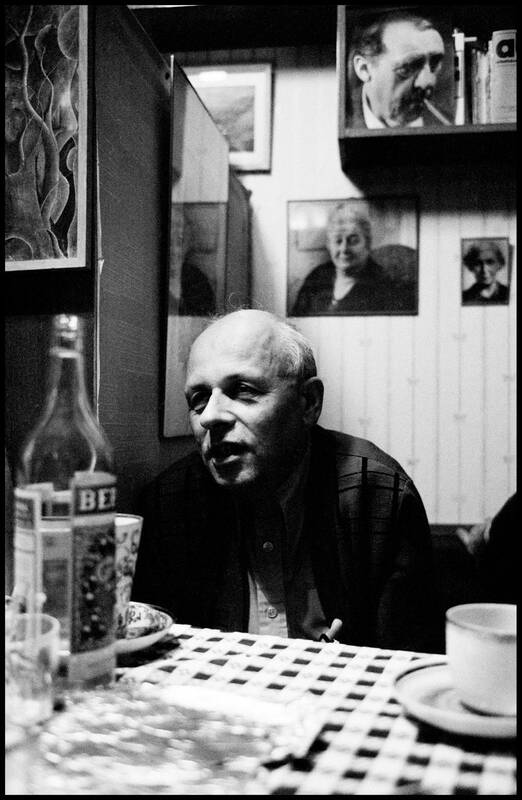 Fifty years ago today, the New York Times devoted three full pages to an essay by the Soviet physicist Andrei Sakharov, who was about to emerge as that country’s leading dissident and one of the world’s most visionary humanitarian thinkers. On Saturday, the Times published an essay about the essay, headlined “The Essay That Helped Bring Down the Soviet Union.” (I think Sakharov might have turned over in his grave at that title, both because he was an almost unimaginably modest man and because he would have found the Cold War framing that birthed the headline objectionable.) In the column about the essay, the Israeli politician and the former dissident Natan Sharansky writes that Sakharov “championed an essential idea at grave risk today: that those of us lucky enough to live in open societies should fight for the freedom of those born into closed ones.” The United States, Sharansky continues, has been retreating from this obligation, and, under Donald Trump, has shirked it altogether. That is indisputably true, as far as it goes, but it doesn’t do the Sakharov essay justice. The essay is a great piece of writing, and a great piece of writing for social change, not only because it is an exercise in thinking in public, on paper, but because it is an invitation to think—and to argue with the author. Events such as interference in the 2016 election are demonstrating how the internet has amplified the reach and impact of age-old military tactics such as information or influence operations. 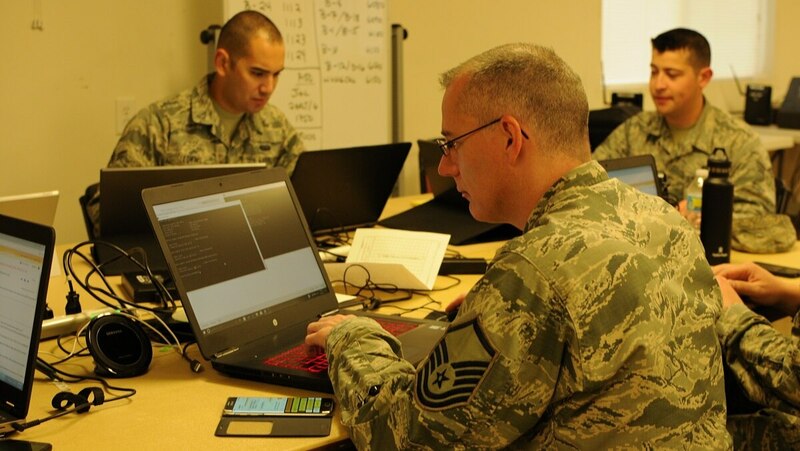 These new cyber-enabled information operations have many in the U.S. government and thought leadership community concerned both about the United States' ability to counter and coordinate similar activities, especially given the the Department of Defense divested a lot of its information-related capability at the conclusion of the Cold War. Many in Congress and in the academic community, as such, have called upon U.S. Cyber Command as the likely organization to orchestrate these types of activities.